SEO has been a hot topic for digital marketers for years now but it can still be tricky to get it “just right.” With algorithm updates, outdated practices, and tons of misinformation on the digital airwaves, SEO still takes its share of twists and turns and leaves many companies in a cloud of confusion. Not to worry, though: the best way to navigate this complex subject is to learn from the experts who actually know what they’re talking about. Head to Twitter and start following these top 12 SEO experts who can tell you everything you really need to know about backlinking, technical practices, and local SEO. If you’ve read about SEO at length, you’ve likely heard a lot of repetition. True, SEO can become a redundant subject where those who dabble are often found repeating the few nuggets they know without providing much insight or context. Not Barry. He’s the go-to guy on Twitter and beyond for counterpoints and real opinions that will give pause to even highly acclaimed SEO experts. As the CEO of New York-based Rusty Brick, Barry is well known for his In Case You Missed It tweets that focus on the latest news in digital and tech, as well as sharing his to-the-point explanations and views of SEO and how to put all the info into perspective. Don’t judge him by the number of followers because Twitter often takes a backseat to his day job as CEO of The HOTH, a full-scale SEO agency in St. Pete that’s quickly becoming one of the top agencies in the country. Marc’s Twitter feed is usually full of all things related to Google, business growth, mobile optimization, and best practices to help businesses across all industries stay in the know and build better strategies. The HOTH has attracted high-profile clients like Hulk Hogan and Rick Flair and even hosts their own annual SEO convention. You can follow Marc at @the_hoth. Founder of Search Engine Journal, Loren Baker brings the latest in SEO and tech to your Twitter feed. Some of his tweets link to content generated by his own company website while others are from outside sources who also keep their finger on the SEO pulse. In either case, you can expect nothing but honest-to-goodness tips and insights shared by top SEO leaders. You can follow Loren at @lorenbaker. Like to keep your SEO conversations cool and casual? Then you need #SEOChat for the win. Matthew Young is one of the maintenance masters of this SEO news community and helps to keep it fresh by providing valuable content in the blog, forums, and especially Twitter. Just a scroll through his Twitter page gives you all the latest insights in SEO — a compilation of what’s happening on SEO Chat. The topics are quite diverse and always give you an extra piece of the SEO puzzle you likely didn’t have before. Never miss a tweet from Matthew Young by following him at @MatthewAYoung. Chief of Search at Red Hat, JP Sherman delivers thought-provoking insights on how to add value to SEO. He’s highly active on SEMrushchat, another awesome forum dedicated to all things SEO and will typically respond to questions with original, inventive, and downright amazing answers. He’s not about showing off what he knows but rather prefers to give you helpful advice that will ultimately benefit you. You can check him out for yourself at @jpsherman. Adding humor to the rather dull subject of SEO, Matt Lacuesta shines a much-welcomed light on the world of search. Once you follow him, you can’t help but feel he’s the silent business partner you’ve been missing in your life. For one thing, he runs a company called SEO Beers. If that weren’t enough to make you want to be his friend, he’s also serving up a tasty Twitter cocktail of local SEO, technical stuff, and a light sprinkling of memes and funny business. You can follow Matt at @MattLacuesta. If you want to have a little fun with SEO (and no, that’s not an oxymoron), you’ll want to see Patrick Langridge grace your Twitter feed. He’s the Head of SEO at Screaming Frog, a UK-based search marketing company that infuses humor and delight in their content. They come up with clever little rhymes, intriguing blog posts, high-value reshared content, and even a retro game that will make you take a trip down memory lane to the 8-bit era. In other words, you just never know what you’ll see next on Twitter. Find out by following Patrick at @patlangridge. Owner of link building company Link Fish Media, Julie has been published on top SEO sites like Search Engine Land and is active in the SEO community. But she hasn’t just written extensively on the subject of linking — she’s seen what it can do firsthand, both for herself and for her clients. Most of her tweets revolve around linking and SEO in some form, but she also intersperses the dry stuff with a little fun. You can check out her thoughts on Twitter at @JulieJoyce. CEO and Founder of Audience Bloom, a content marketing agency in Seattle, Jayson’s experience with link building has landed him publishing spots for Forbes, NBC, Entrepreneur, and other top publications. His tweets don’t just center around the value of links and how to acquire them. He also offers actionable business tips you can put to good use because no amount of links can do the trick alone. His best advice about getting good links? Just ask for them. You can learn more from and about Jayson on Twitter at @Jaysondemers. Tech-forward Danny Sullivan is your direct connection to Google. Search is his main expertise and he isn’t shy about sharing tips, tricks, news, trends, and the occasional joke. Obviously, search is critical to all SEO efforts. This is THE guy keeping his finger on the pulse of the industry and continuously shares valuable resources that will help you along your journey. You can find Danny on Twitter at @dannysullivan. Another top Google expert, John is a Webmaster Trends Analyst at the big G and you should listen to what he has to say. His Twitter feed is usually rife with actionable insights, infographics, and retweets from other top SEO experts to give you plenty of digital food for thought. His approach is largely data-driven, helping business owners to understand both basic and deeper level knowledge of link building and what techniques give you the biggest impact for your efforts. You can follow him on Twitter at @JohnMu. Bill’s been doing SEO almost since SEO became a thing and his knowledge of the subject has evolved with the times. With over two decades of experience (something that most SEOs just don’t have), Bill runs SEO by the Sea, a search engine optimization company, and puts content into a context that helps just about anyone understand what he’s talking about. But most importantly, he’s an approachable guy who’s likely to respond to your comments and questions, should you have any. Virtually meet Bill by following him on Twitter at @bill_slawski. Co-founder of technical SEO firm Salt Agency, UK SEO consultant Martin Woods is your go-to SEO technical specialist. He doesn’t just “know” SEO but actively pursues it through continuous learning and practice. 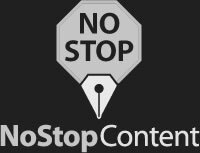 The content their agency puts out is worth more than a read, especially considering the original and unique way they present SEO info. He’s someone you’ll be glad to see on your Twitter feed whenever there’s a Google update or other major shift in the digital realm. You can follow him at @mocwoods. Localization is a crucial subsect of SEO that helps people find places and services in their immediate markets. With the rise of voice search combined with the fact that over half of local mobile searchers visit a location THAT VERY DAY, the future of local SEO looks highly promising. Co-founder of GatherUp, Mike Blumenthal is well-versed in all things Google Places and local searches. His blog, Understanding Google Maps & Local Search, is always chock full of industry insight and expertise and he takes to the Twitter airwaves to share nuggets of knowledge you can put into action. Small businesses, in particular, can benefit from his wisdom that allows them to compete with larger competitors with larger budgets. Follow Mike Blumenthal’s Twitter journey at @mblumenthal. With just under 3,000 Twitter followers, Tim is an up-and-coming local SEO expert who helps you stay always a step ahead of the competition. When something in local SEO changes, Tim is among the first ones tweeting about it. His page is full of insights from other top local experts who offer powerful insights. Take a scroll down his page and within 20 seconds you’re likely to find at least one thing you didn’t already know. He packs mega value into his tweets so you can rest assured that whatever he’s putting out there is dependable info you can benefit from. Go see for yourself by following him at @GuideTwit. The local factor is just a part of SEO but this specialized variety goes several layers deep. AJ Ghergich is continually bringing new facets of the subject to light on his Twitter feed to give you a more holistic approach to local search. His topics generally focus on some form of content marketing or local SEO, but he’s also been known to talk about big data, rich snippets, and all things Google. He also brings a lot of content to his feed from high authority sources like Backlinko and SEMrush to maintain a high level of quality and keep you informed. You can follow AJ at @SEO. Think of Twitter as your free SEO partner: it gives you a direct link to some of the industry’s top gurus who are continually posting nuggets of wisdom you can put to good use. And, if you have questions, all you have to do is reach out. 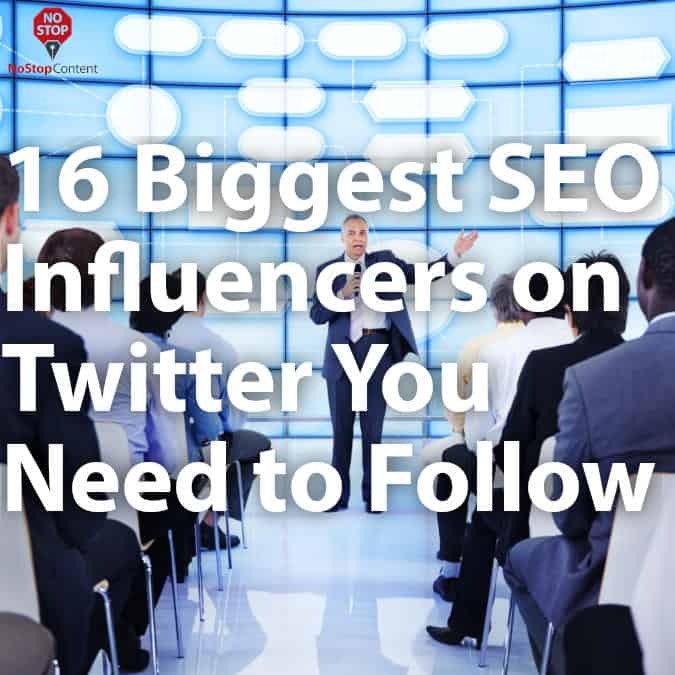 If you’re not yet on Twitter, this all-star list of SEO influencers and gurus gives you no better reason to join. The value alone you can expect from these and other SEO masterminds can give you a huge leg up in your business. Navigating the intricate subject of SEO can be downright mind-boggling so put your best resources to work. Who knows? One day you may even become somewhat of an expert yourself.